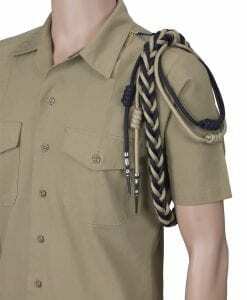 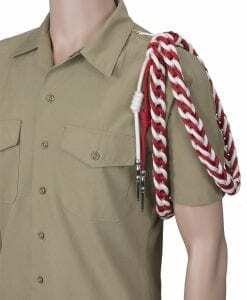 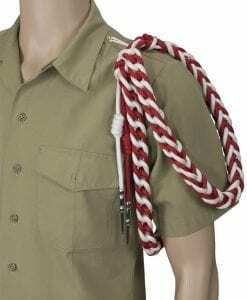 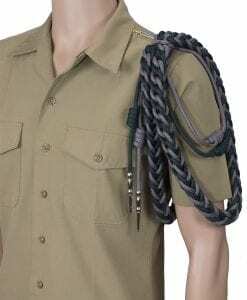 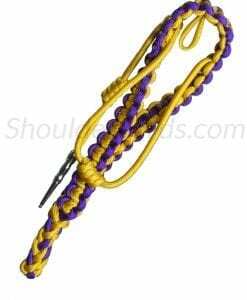 Two color aiguillette with a whistle loop. Two color box braid shoulder cord with braided under arm. 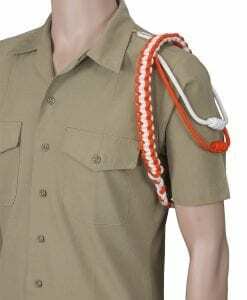 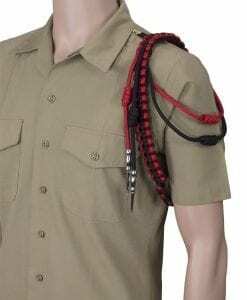 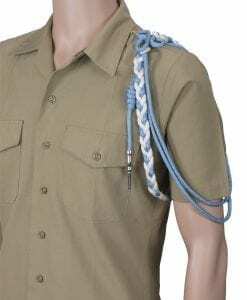 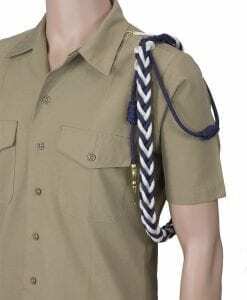 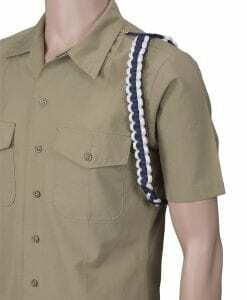 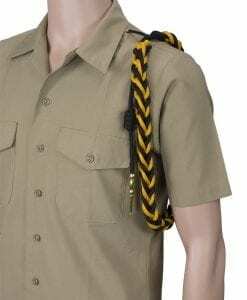 Two color shoulder cord with braided under arm and two knotted strands.